The best thing about this place is Irene the manager, thats why I gave it five stars! She also offered me a $1 move-in special and she didn't have to that, so I totally appreciate her gesture considering all the wrong information I was given. I called twice on Thursday before I decided to lease a storage (I had three reservations at other places) and never once was I told to pay $20 in order to lock in the rate I was quoted. So when I showed up, the quoted rate is higher, but still lower than what I paid at greedy PublicStorage. Some guy I spoke to also never told me ALL the units at this facility were outside, as in outdoors. I asked him if the unit he reserved for me was interior or exterior and he said interior. I was later told he might have said interior because you have to walk down a row to get to my unit. Well, if you walk anywhere at this facility and you look up and see the sky, then it's considered outside (seems like common sense to me). Nothing on the website mentions that all the units are exterior. My main problem was not receiving correct information and the fact I had to sweep out my unit (there was some white powder all over the floor). Irene was quick to check me in and she was very helpful and very indulgent. She truly understands what customer service is about. Oh, another thing you should be aware of is that this place has no carts or handtrucks/dollies. That might be a pain for some. The prices here are really cheap. They even have a grace period up until the 10th and after that, it's an extra $15, after the 15th it's another $15 and for your final notice at the end of the month, it's $20. All these fees are doable and you can make your regular payments online. But...if your car gets stuck inside the gate after hours, up until 7PM daily, you have to pay $50 for them to get you out. So as Irene instructed, if you are still unloading at 6:45PM, stack the boxes near your unit, then move your car to the outside parking area, because you can always walk back out. I love Storage Outlet because they have very great customer service. Everybody is always welcome in the office and Kevin and Irene are very nice and helpful. My experience with them, compared to other companies, is very good. The location is right next to the freeways and the prices for the units are very low and affordable compared to others. I am very satisfied with my experience here. Great prices and units are well maintained. Awesome customer service. Highly recommend this place. Staff Super Cool. Great Deal! !, reserved on-line, 30 mins after making reservations went to location and got an even better deal for a 2 month special for an 8x30 container. GREAT PRICE!!! Place is clean and no mouse/rat poops like most locations. I've been at storage outlet for about 14 years straight, I am very pleased with the services they provide. I feel very safe and secure here and have never experienced or heard of any tragedies while I've been here, their servalence is incredible, thank you Tim and Oscar for always being there for me when I've needed you!! I love storage outlet in south El Monte!! Received a great deal compared to other storage locations nearby. Storage and grounds were nice and clean. Tim was very helpful and kind, I highly recommend this place. I love the service good customer service and they are very helpful. Prices are good compared to other storages. 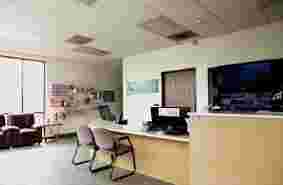 Great place I've had a unit there going on 2 years and never had a problem everyone is friendly and efficient. Great place to store your belongings. Very helpful staff. Thank you! Thanks to Oscar and Tim at storage outlet in south El Monte for their excellent customer service. I recommend their business highly to everyone in need of a great public storage service. Oscar and Tim are helpful with all our storage needs. Good discounts. Better prices than other places. Great service! My homeboy at the office helped me fast and provided great service!!! Offer military discount for active duty service! This place in conparison with others really help me in every need.Frendly people and Frendly service confortable area to move around even do they are all containers.Place is always clean.You have planty of time to go. After work or before work. Because their hours are extended so that you will make it. Its nice and clean. People are friendly. Not to expensive. 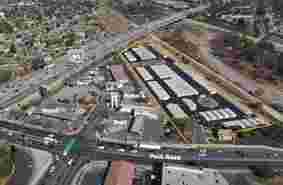 South El Monte is another Los Angeles suburb where Storage Outlet has containerized self storage. 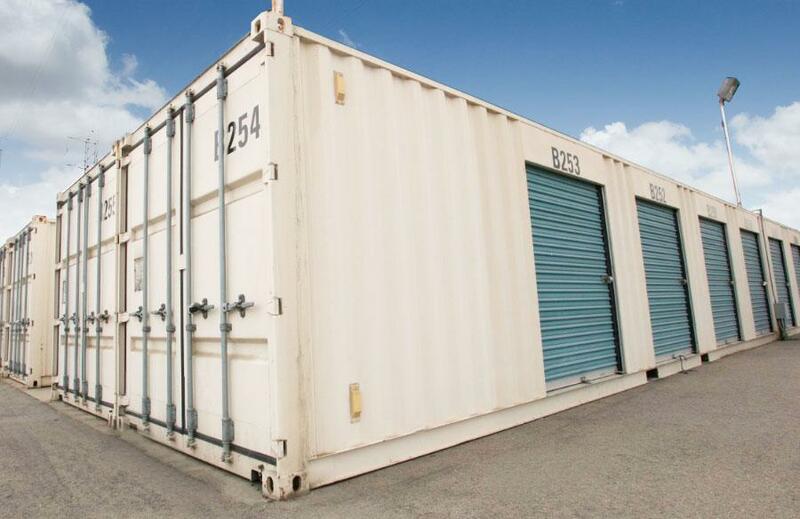 [LINK TO STORAGE OUTLET BELLFLOWER PAGE] Since there are storage facilities in South El Monte that utilize shipping containers as storage units, it’s a great option for the typical storage user. The primary benefit of containerized storage is the fact that they are airtight. This means you have a very clean storage unit, protected from outside elements like dirt, ashes from fire, and yes, even roaches or rodents. These South El Monte storage units are the cleanest ones in town yet they still boast the convenience factor of a drive-up storage unit. Being able to drive up to your storage unit makes it easy to load and unload items between your vehicle and storage unit. Typically, drive up units are more prone to collect dust, since there isn’t a way to totally seal a self storage unit door from the outside elements. Containerized storage units solve this dilemma since shipping containers are airtight. The South El Monte storage facility with shipping containers is under the Edison power lines you probably see when you drive down Peck Road or along the 60 freeway. 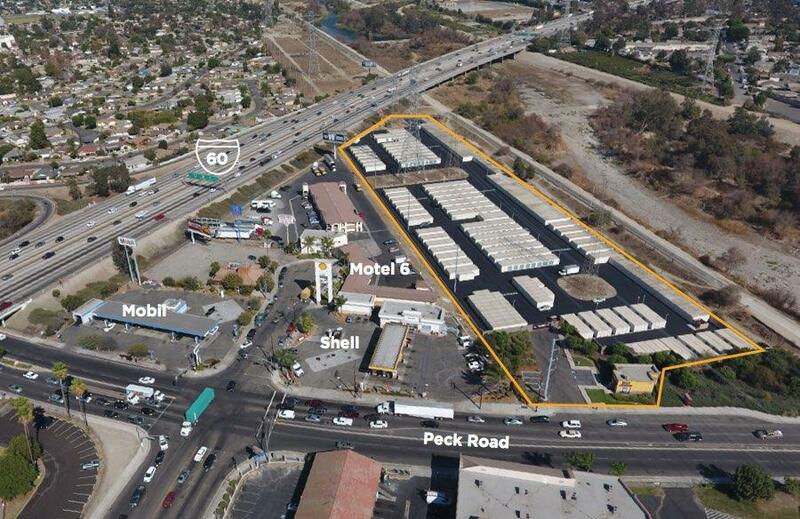 This facility also has the best South El Monte self storage deals since the property is low maintenance, allowing the operator to pass savings on to their customers. If you opt for traditional self storage, you can save money on your storage unit by selecting an interior upper level unit. Not only are these the cheapest storage units, but they are also the cleanest, so it’s the best choice if you don’t mind a little more effort to get your treasures into and out of storage. Here are a few tips to smoothly move your bounty into an interior storage space. First, park your vehicle near the best access door. For upper level storage units, this more than likely means the door closest to the storage facility elevator or lift. 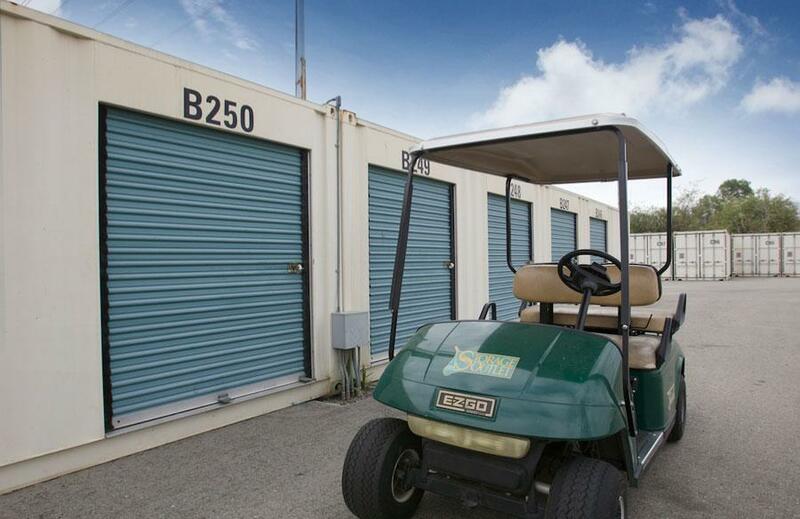 Second, most South El Monte storage facilities have large flat carts you can use, so be sure to rent from a facility with this helpful self storage amenity. Third, since you may need multiple trips with the cart (depending on whether you rent a 5x5 or a 5x10 or larger) think through the order in which you cart your items to your storage unit. You’ll likely want the largest items in the back of your storage unit, so take those items first. The other train of thought is to pack items you’re unlikely to need in the back of the storage unit, since they will be harder to access. Lastly, rent from a reputable South El Monte storage facility. This is especially important if you’ll be using an elevator or lift. You don’t want to rent from the type of company that won’t address any maintenance issues quickly. Saving a little on your storage unit each month is not worth carrying boxes or furniture up and down stairs. As a final note, we want you to be aware that South El Monte self storage is unique in that you can support local and national charities by donating items at a South El Monte storage facility. Regardless of whether you rent with Storage Outlet or not, you can use our South El Monte Charity Storage Unit. How does Charity Storage work? Great question! Each participating storage facility (like Storage Outlet) designates a storage unit to serve as a charitable drop-off point. At the South El Monte storage facility for example, local residents and businesses can bring donation items to the storage unit in the same manner they would donate at Goodwill or the Salvation Army. When the South El Monte storage unit fills up, the storage locker is sold during the storage facility’s next auction. Not only does the bidder get a cheap storage unit, but they’re raising money for charity at the same time because the winning bid amount is donated to charity. As a renter however, you hugely benefit if you rent from a South El Monte storage facility with a Charity Storage Unit. Imagine a common storage scenario. You’ve been renting for two years and your storage unit is busting at the seams but you don’t want to get a second storage unit. A great solution is to sort through your storage unit, purging anything you no longer need. But who wants to haul all of that home (customers aren’t allowed to use storage facility dumpsters, you can imagine the issues that would create if everyone used them)! Problem solved if your facility has a Charity Unit, because you simply move your stuff to the Charity Unit. As if that wasn’t good enough, you get a donation receipt and your donation is tax deductible! There is not much of a military presence in South El Monte because of the lack of nearby bases. El Segundo’s LA Force Base is about 30 miles from South El Monte (meaning a 30 minute commute if you drive in the middle of the night, or a 90 minute commute during rush hour!). The March Air Reserve Base and the Naval Surface Warfare Center Corona Division in Riverside County are also roughly 30 miles away, with similar commutes. If you’re located on or near any of these bases, you’re certainly better off renting within a few miles of your military base. You can find Los Angeles self storage options on StorageFront, where you can filter storage facilities near you by unit size, unit price, distance to the storage facility, and various amenities like climate control (it can reach 100 degrees in Southern California! ), 24 hour cameras, truck rentals, or whether the self storage location offers RV, car, or boat storage. The same goes for Riverside self storage deals. On the other hand, if you’re living in or near South El Monte, it would be our honor to offer you clean and affordable South El Monte self storage with a military discount. 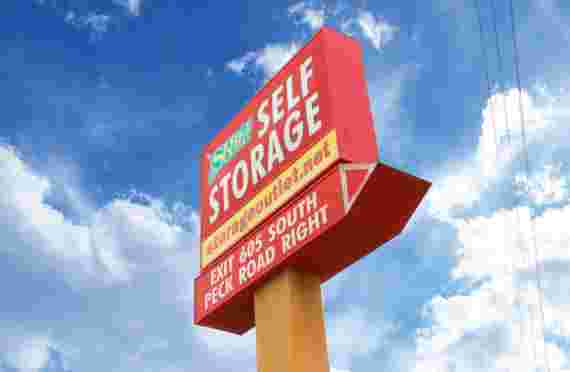 Beyond picking a South El Monte storage facility and considering what self storage amenities you’ll need, you also want to be strategic about handling your transition to self storage. Plan well, considering what items you want to store and what items you should sell on Craigslist or your Nextdoor app. When are you going to move in to your storage unit, how are you going to get your stuff to the South El Monte storage facility, and what supplies do you need? Fyi, most South El Monte self storage locations sell boxes, bubble wrap, paper, and tape to seal your boxes. Shipping tape is your best option to seal your boxes intact. This may not seem like that big of a deal, but you don’t want to pick up your box of dishes only to have the bottom fall open and your dishes shatter on the floor. Next, be sure to properly pack your storage unit. Individual needs vary, but typically you want to pack less used items in the back of your storage unit. Stack boxes together to save space, and leave an aisle down the center of your storage unit to allow you to access everything within your unit. Be sure to label your boxes and ensure these labels are visible once packed in your storage unit. Lastly, ask for a military self storage discount! Are you attending a Los Angeles college, like Everest College City of Industry or East Los Angeles College, with the hopes of making it on the silverscreen or the catwalk? Sorry to stereotype, but you can admit that Los Angeles County has a lot of aspiring models and actors. If that’s the case, then you may be interested in catching a filming of Storage Wars at a South El Monte self storage facility! Storage Wars has filmed auctions at the Storage Outlet location in South El Monte. If you’re interested in catching a glimpse or Jarrod and Brandi (or maybe Dave Hester is more your speed) then focus on South El Monte storage facilities that use American Auctioneers for their storage auctions. This is the company Dan and Laura Dotson own, so generally facilities that use their auction services are the only locations Storage Wars films at. 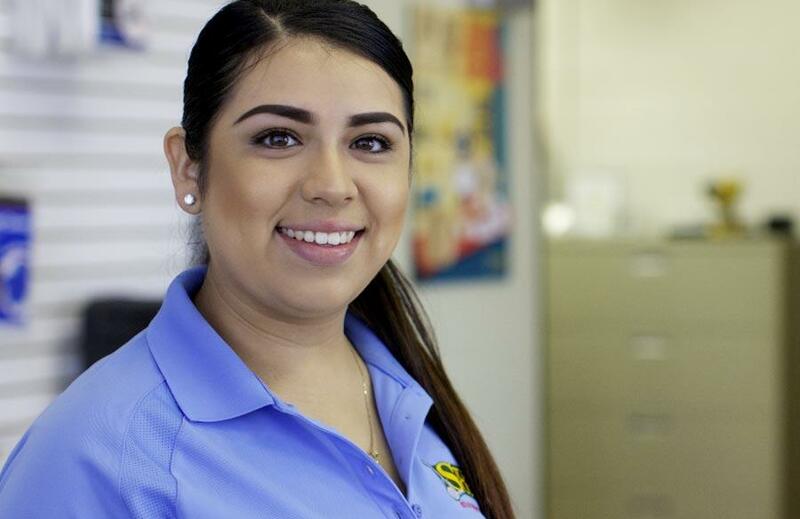 You can call storage managers in South El Monte or surrounding cities to try to get the inside scoop on filmings. They aren’t supposed to disclose this information, but you never know what might slip out and there’s no harm in asking! If you’re wondering whether Storage Wars auctions are real or staged, we can assure you they are real storage auctions! Check one out. Storage auctions are an interesting experience regardless of whether the Storage Wars crew shows up. You’ll quickly size up the cast of characters, and typically they are as entertaining (if not more) than the bidders on Storage Wars. You’ll have your professionals, your amateurs, your bullies, and the silent but deadly type. South El Monte self storage auctions won’t boast the same treasures as Bel Air, but you’d be surprised at the quality of stored items you can find at any storage facility. For the most part, people only store items of value. Otherwise even cheap self storage isn’t justifiable. Storage Outlet South El Monte has limited RV and boat storage, so please check out our Gardena [LINK TO STORAGE OUTLET GARDENA] and Bellflower [LINK TO STORAGE OUTLET BELLFLOWER] locations. Every RV owner has a different idea of how to use their RV. Some want to head to an RV park. 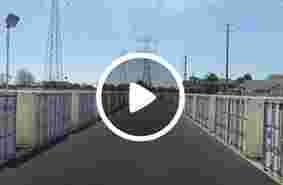 If you use RV storage in South El Monte, chances are you’re heading to Balboa RV Park (the most highly rated in the area), Dockweiler RV Park, or Golden Shore RV Park. If you’re looking for an RV campground near LA you may be headed to Carpinteria State Beach (an excellent choice). All of these options are within an easy RV drive from South El Monte RV storage. If you’re more of a road-tripper, you could hit up Arrowhead, Big Bear, Joshua Tree, or Idyllwild before reaching your final destination of Zion National Park or the Grand Canyon. Regardless of your reason for storing your RV in South El Monte (perhaps your live here or were just looking for the best self storage deal), the great part about storing your RV in South El Monte is the fact that everything is within reach. You could head to Malibu and drive up the coast. You could head to San Bernardino and enjoy the mountains (for snow in the winter or water sports in the summer). You could head to neighboring Arizona, Nevada or even Mexico! South El Monte is conveniently located in the center of Southern California and is surrounded by major freeways so you have easy access no matter where your travels take you. Buckle up and enjoy the ride! Lucky for Southern California residents, there are numerous lakes within a few hours drive regardless of where you live. If you live or store your boat in South El Monte, you have endless destination options. Here are some ideas for boating trips if you use South El Monte boat storage. If you are looking for an ideal camping lake, Big Bear Lake, Castaic Lake, Lake Cachuma, Silverton Lake, and Lake Casitas are all within a reasonable drive of South El Monte boat storage. If you’re already storing your boat, you may want to consider a small storage unit at the same facility to store all of your camping gear. Not only will this give you more space in your garage at home, it’ll make your boat camping trip highly efficient and convenient. Imagine pulling up to your South El Monte boat storage facility, hitching your trailer and then swinging by your storage unit to grab a few large tote boxes, sleeping bags, your cooler and your tent. This especially makes sense if you’re a gear head and you have a camping stove top, lanterns, an egg crate mattress topper, folding tables and chairs, and who knows what else! If you’re heading out from your South El Monte boat storage facility in order to soak up beautiful scenery and enjoy Mother Nature, then you may be headed to Havasu Lake or Silverwood Lake (or any of the lakes mentioned above for camping!). It truly is amazing the beauty that Southern California offers, and it’s good to get out of the smog and freeway congestion to enjoy some peace and quiet. All of this is available within a one to three hour drive from your South El Monte boat storage. It doesn’t get any better than that!